Pumas (also known as cougars, mountain lions, and ghost cats) are the least familiar of North and South America’s big cats. Seldom-seen loners, their numbers are growing even as other species diminish. In Path of the Puma, biologist Jim Williams shares his knowledge, acquired over years spent tracking and studying the cats from Canada to South America. The ways of pumas and their ecosystems are eons old, but our understanding of them—and our strategies for peaceful coexistence—is still evolving. Seamlessly interweaving information with Williams’s personal story, the book follows Williams south, from his first assignment in western Montana down to a stint in Patagonia. His enthusiasm for nature and animals jumps off every page. This isn’t a book that advocates banning humans from the wild, or a scolding, hand-wringing screed over the “inevitable” loss of species; rather, it sees humans as part of the mix, and it proposes that it is necessary for our own survival that humans coexist with other species. Williams’s writing is expert, friendly, and interesting. Well organized and clearly presented, information emerges from field work examples, such as the tracking studies that showed that pumas feed almost exclusively on wild prey rather than domestic herds. That information meant that only a handful of tagged and identified cats needed to be relocated to remote areas. The book is exceptionally well-produced, durably bound and with dozens of full-page and full-spread color pictures. Final pages include a list of organizations that support wildlife and wilderness conservation, and there’s an especially helpful section on what to do if you encounter a puma in the wild. 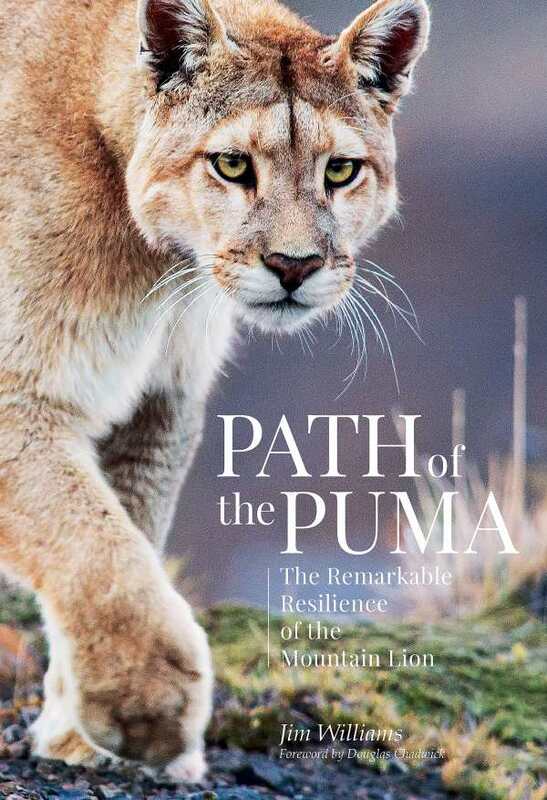 Jim Williams’s fascinating and inspiring Path of the Puma tracks mountain lions and their place in the ecosystem, showing what can be done to preserve their habitat while enjoying our own.